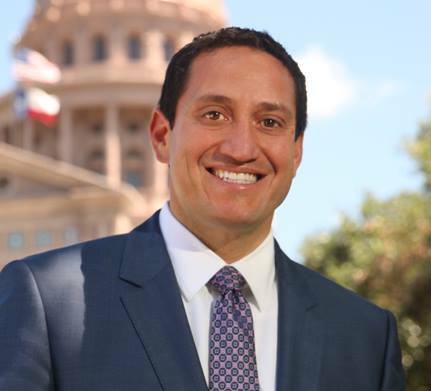 Fifteen-year state Rep. Trey Martinez Fischer announced Sunday he’ll run for Texas Senate District 26 next year against incumbent José Menéndez. The March 1 Democratic primary race will pit the same contenders who battled for the seat earlier this year in a special election to replace state Sen. Leticia Van de Putte, also D-San Antonio, who gave up the seat in a failed bid for mayor. Menéndez won that Feb. 17 contest by a 3-2 margin, and it wasn’t long before Martinez Fischer began hinting at a rematch, asserting that Menéndez was too beholden to Republicans who helped him win election. The same charge was made Sunday when about 200 supporters gathered at a West Side restaurant to hear Martinez Fischer’s declaration, which came on the eve of Monday’s filing deadline for party primary candidates. Drawing endorsements from U.S. Rep. Joaquin Castro and state Reps. Roland Gutierrez and Justin Rodriguez, all D-San Antonio, Martinez Fischer vowed to be a fighter for District 26. He said he would use his understanding of the legislative process to ward off GOP-backed measures that he views as harmful to constituents. Without mentioning him by name, Martinez Fischer said Menéndez “bragged” that he voted for the state budget even though it was inadequate in many areas. “I doubt he bragged to our public school teachers who work in classrooms that are overcrowded and underfunded. I doubt he bragged to the parents and families who go without insurance, without Medicaid, because they can’t afford the premium or the state cut their services,” Martinez Fischer said. We’ll see how it goes. I know the conventional wisdom was that Menendez won the special election runoff on the strength of Republican votes, but those votes came on top of a base of Democratic support. The budget is a legitimate issue, but (again, despite the proffered wisdom at the time of the runoff), I can’t think of any other actions by Menendez that stand out as campaign fodder. But hey, that’s why they run the races. TMF’s decision means his HD116 seat will be open, and you can expect a flurry of candidates to sign up for that. One way or another, the San Antonio legislative delegation turns over some more. The Trib and the Rivard Report have more.